Golf as a game has been quite popular for ages. But the recent times have given this game a whole new set of clubs to make the game more interesting. One such club that has recently gained a lot of popularity is the lob wedge. If you are about to hit the ball and there is an obstruction in front of you, you would need a good loft and that’s exactly what the lob wedge would offer. This is why it is also known by the name, “lofted wedge”. This is a short club which would go a long way in improving your shots. When you are looking for a short distance shot with a nice little lift then a lob wedge is definitely your answer. Have you ever tried purchasing a lob wedge? Have you looked at the limitless options you have to choose from? This might be an overwhelming decision. But it would be worth the efforts. So we have here a list of the best lob wedges based on various criteria. This would give you an idea to pick the right one especially if you are buying your first lob wedge. How To Choose The Best Lob Wedge? Below is a brief review of each of them to help you understand these products better. 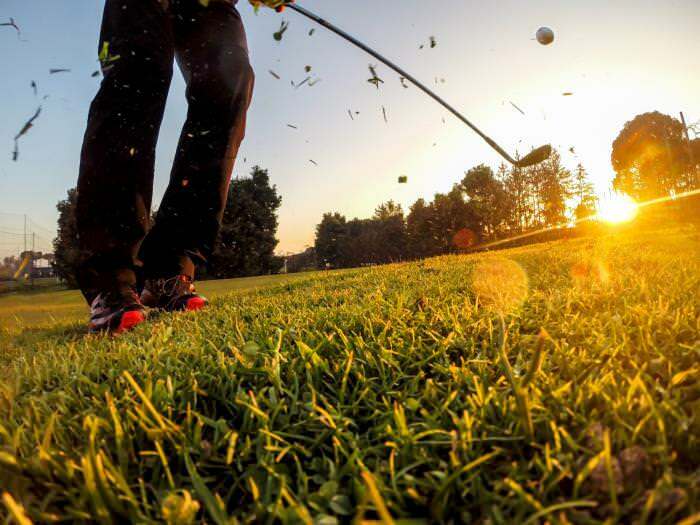 The sole grind determines the bounce that the golf club delivers. You would need a low bounce to achieve a better spin. Keeping this in mind the innovative design of this wedge comes with a unique sole grind. This design helps open up the club face so as to enhance the overall performance. It comes with a strong and easy to handle stainless steel shaft that doesn’t rust in the long run. It is also pretty sharp in terms of the swing thanks to the sturdy shaft. To avoid glares on a sunny day at the greens this club comes with an anti-glare coating. The club finish is pretty durable. So you would have your wedge looking as good as new for years. The design has been intuitively done to focus on the accuracy of shots. So your ball goes higher and exactly on the path that you want it to. The pricing of the wedge and the durability that it offers makes it one of the best value for the money paid. This makes a great lob wedge for the golfers in their early days as it is pretty easy to handle. This club is available only as a right handed orientation. Most golf clubs in this segment come in both left and right handed versions. This one is known not just for the balanced design but also the great finish that makes it stand out. The club face comes with a micro texture finish. This aims at improving the spin of your shots. This design allows a broader surface for the impact. This makes this a more forgiving club that would be useful for beginners working still on the accuracy of their shots. The brand has been known to make some of the best tour-inspired design for the sole and this club is no exception. This is a versatile wedge that can be used on all types of surfaces. But particularly on the greens, this one fair really well. The micro texture finish on the face not just increases the spin but also helps you achieve better control. This friction comes in handy when you are in a scoring area. The glossy finish might cause a slight glare when you are out in the field. Both the above products we have seen come as single pieces. But here we have a wedge that is available in value packs. This is a pack of 8 clubs including 3 pitching wedges. This is a left handed version of the club. This one comes with a design that is Tour inspired. One main aspect you would notice about the club is the impressive stability it offers. This is mainly because of the innovative design. The brand’s attention to detail is seen in the cavity that is included at the back along with the engineered undercut. This also enhances the speed of the ball. For all the off-center impact shots you would find this club improve the stability of the shot and thus the overall precision. The club comes with laser milled club face. The milled zip grooves help improve the spin. This is what makes this club a reliable one as you can expect consistent shots when you play. The club is popular for offering a solid feel. This is something that the avid golfers might find useful when they take their shots. This helps achieve a better control over each shot. The wide club head gives beginners the advantage. The chrome finish gives a little glare. The black finish cuts this glare off to a great extent. Depending on the type of shot you have to take and the type of field you play on and your swing you can choose from the various options. You get to choose the grind and groove. Talk about the grinds, there is the W-grind, S-grind and the C-grind. For softer condition, the W-grind helps and this is also one of the most playable among the 3 types of grinds. This is characterised by the wide sole. For a more versatile choice, you can go for the S-grind. For all those firm courses, the C-grind might be the best choice. This one too is pretty versatile and allows you to handle a variety of shots on the greens. The toe-relief of this grind has the ability to handle different types of shots. The “progressive groove optimisation” which comes as a package of 3 grooves which are precisely milled into the club face. This detail has been added so as to increase the spin. Pitching, gap, sand and lob wedges all come with different groove designs to suitably accommodate the required spin. For the lob wedges, there are wide 5V grooves. These grooves are responsible for providing the superior control that these lob wedges are known for. Be it on the rough courses or on the greens you can achieve the perfect control. The leading edge is semi straight. The club head in this wedge is one of the broadest in this segment. These wedges are available for right and left handed players separately. You have the flexibility to choose stiff or regular flex. The other main parameter you get to choose is the loft degree. Loft degrees can be chosen in the range 48 deg to 60 deg. The 60-degree wedges are the most difficult to handle. But these are known for the best height of arc delivery. This is one of the finest wedges in terms of the design. The design has been tour inspired and then meticulously done with the utmost precision. The CAD design is them manufactured to perfection. This club is known for its high toe profile. This allows the club to offer the perfect balance for each of the shots. One interesting and unique feature added is the option to customise the way the weight is balanced. There are weight ports that are provided at the backside of the wedges. You can alter these ports to shift the weight. So, depending on your stroke style you can shift the weight to get the perfect shot. The progressive position of the CG allows CG to be varied according to the loft of the wedge. The price of the wedge is totally justified given its performance and ease of use. This is also a durable club. But this is one of the priciest wedges and so not all beginners would prefer this. This comes as a value pack with 3 different wedges of 52, 56 and 60 degrees. The lightweight shaft weighs merely 125g and is very easy to handle. The hitting surface has been designed to suit golfers of all proficiency levels. The club face is broad at the end and tapers near the toe. These wedges come with the ever popular U-groove design. The stainless steel finish gives it a classy appearance. The Pinemeadow steel used to make this club is known for its durability and strength. This pack of 3 loft angles also vary in the lie degrees and bounce. They all weigh the same though. You would also find them all similar to handle. No matter which lie you play from you would find this wedge help deliver accurate shots. These wedges have been known for their unmatched durability. If you are a frequent golfer looking for a tour inspired design that would assist you in taking a high arc with a good spin then these wedges would be the best options out there. The stainless steel finish also doesn’t wear off easily. The pricing is one of the most favourable aspects of this club. If you are sure about the loft angle that you require then you can go for a single piece. 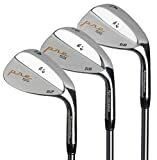 But this pack comes with 3 wedges with the 3 most preferred loft angles. So this would make a versatile collection in your golf bag. The feel offered by these wedges is one of the best. For those with mid to high handicap the 56 and 60 degrees pretty useful. The club head design is something that we like the most. It is not just about the machining and the groove design but also the overall performance. Though every aspect about the design stand out in the crowd, the grip that comes with the wedge is not the best. It does come off soon for some regular golfers. That’s the big question! You have a list of products that have been popular among the golfers worldwide, but you do not know which one would really suit you. To understand this you should be able to understand what you should really look for in a lob wedge. These are characterised by their short shafts and high loft angles. When the sand wedges were popular one thing that most golfers complained about is the lack of spin due to the high bounce delivered. To tackle this the lob wedge was mindfully designed so as to offer a low bounce. The flange on the sole of the lob wedge is pretty inconspicuous. This is why you would get a lower bounce with this club. Anyone anywhere might find the lob wedges useful at some point or the other. If your aim to send the ball high and make it land soft with a little spin then a low bounce is what you need and this is what a lob wedge gives you. There is a large backspin in the shots. The high arc makes it suitable when you play around obstacles on the course. Though you could also use other types of wedges in most such cases using the lob wedge would make it much easier to handle such shots. Handicap: Your handicap would do a lot in determining the type of wedges you would need in your golf bag. One type of wedge that is beneficial for the low-handicap and mid-handicap players is the lob wedge. This would help these players achieve that perfect swing for every shot. These are the wedges that help you concentrate on the lift rather than the distance. Loft of the lob wedge: On an average, the loft in a lob wedge would fall in the range of 58 to 65 degrees. If you are looking for a club that would allow you to give a steep arc without much of a roll you should be choosing one of a higher loft. But these would be difficult to use and it does take some time getting used to them. For the mid handicap players, a loft below 60 degrees would be recommended. Once you have mastered your skills you could go for 65 degrees and see your ball lift from the greens with a nice steep curve. The clubs that have loft angles above 60 are often referred to as extreme lob wedges and these are not very easy to find. Check the bounce: Would you need a low, standard or a high bounce? This would be the inclination of the club sole with respect to the ground. The choice here depends on a lot on where you play your golf. The bounce determines the way your club impacts the ground during the hit. 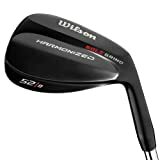 When you are playing on the sand or fairway, or other hard surfaces then you might find a lob wedge with a lower bounce useful. And for the grass fields, a higher bounce is better so that it doesn’t dig deep as a lower bounce would. Sole grind: Sole of the wedges are ground so as to suit the game being played. Grinding of the sole has to be done accurately to influence the type of bounce expected of the club. Grinding of the sole when done very close to the heel would allow the wedge to offer a very little bounce. This would align the heel in line with the ground at the time of impact. Finish: The finish of the wedge is not just about the aesthetics. It also determines the life of the club and its ability to withstand weather extremities. But some prefer raw finishes. These would wear off with use and help enhance the friction. Finally, it all boils down to the matter of personal choices. Shaft: The length of the shaft would be smaller than that of most other clubs. The material of the shaft could be steel, graphite and others. This would influence the weight of the club and thus the ease of handling. If you are able to find value packs with different loft options this would definitely make the best value for the expense. This would also be a collection that you can cherish from your early days of golfing to the days when you are touring. Do your research about the various options. But before making a choice it is always advisable to try out the clubs and feel how they are to handle. Start with understanding your stroke style and handicap level. This would help you choose the apt loft angles. In your early days you might mostly not need those with larger loft angles. These would also not be essential for the occasional golfers. If you are planning a collection for a tour invest on a pack of wedges without a second thought.